Brett Beuning is a Clinical Assistant Professor and Director of Clinical Education in the Baylor University Doctor of Physical Therapy Program. 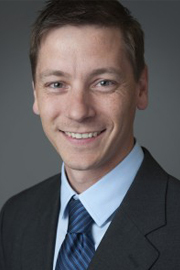 A graduate from the Regis University Physical Therapy Program in 2006, Dr. Beuning is an ABPTS board-certified Orthopaedic Clinical Specialist and a Fellow in the American Academy of Orthopaedic and Manual Physical Therapists. He has spent the past 10+ years in clinical practice in various settings, with a focus in outpatient orthopaedics. Most of that time was spent educating and mentoring others in clinical education, residency, and fellowship programs. In addition to clinical practice, Dr. Beuning has served as faculty the last five years with Evidence in Motion, developing online and clinical content for clinical internship and post-graduate programs. He has served two years as Program Director for the Evidence In Motion Orthopaedic Residency Program, and as Adjunct Faculty for South College of Tennessee for the past 3 years. He currently resides in Texas with his wife and three children.